In American history, Boston, the capital and largest city of Massachusetts, figures prominently. It was where Puritan colonists from England founded a New World in 1630; and consequently, it became the scene of several key events of the American Revolution. Today, Boston asserts its Old World reputation as the ‘Athens of America’; as it houses many of the United States’ elite learning institutions. Geographically, it also serves as a convenient staging point to explore New England by Boston motorhome rental, campervan hire and RV rentals in Massachusetts, USA. Massachusetts may not be the biggest of the states in the US, but it certainly doesn’t lack things to see. Fortunately, because of the relatively small size of the state; you can see most of it by obtaining a Boston motorhome rental or campervan hire. If you time your travel from late September to mid-October; you will be treated to a show of dramatic autumn foliage that even locals revel in. Even if you come outside of that window, there is still Fenway Park, home to the Boston Red Sox, and the Boston Duck Tour on an amphibious vehicle from where you can view the city’s famous and historic landmarks. One of Boston’s prominent institutions is Harvard University. You can drive your RV rental to Cambridge where you can see what life is really like at one of the world’s premium educational facilities. From Mondays to Saturdays you can get guided tours that start from the Smith Campus Centre. From Cambridge you can travel west to Worcester in your campervan rental. This is home to the Worcester Art Museum; which houses some of the planets great masterpieces by Picasso, Monet and Goya – 35,000 in all; providing an experience that can rarely be matched anywhere else in the world. From Worcester, head southeast in your campervan hire until you reach the coastline. 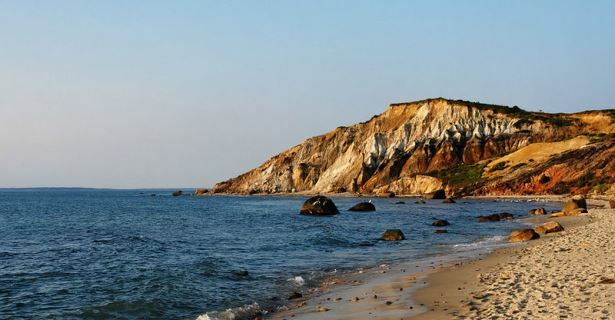 From this famous piece of coast you could always take a trip to see the legendary islands of either Nantucket or Martha’s Vineyard. Alternatively, you can drive your RV rentals around the Cape Cod Bay sampling the excellent seafood restaurants while keeping an eye on the whales. After returning from the drive around Cape Cod, perhaps take the coastal road north to Plymouth. In Plymouth, the Captain John Whale Watching and Fishing Tours will afford you the opportunity to get close to some of the whales you saw from Cape Cod. Continue north back to Boston where you can return your Boston motorhome rental; but before you do, ensure you get to experience even more marine life by visiting the New England Aquarium. The Aquarium provides a learning experience for both kids and adults with its thousands of marine creatures; that include penguins, seals and turtles to giant Pacific octopus, lobsters and rays, plus balloon fish, a giant anaconda and leafy sea-dragons. The Aquarium also features exhibits like the Yawkey Coral Reef Centre, Edge of the Sea, Giant Ocean tank and the Amazon rainforest.